over a period of time. 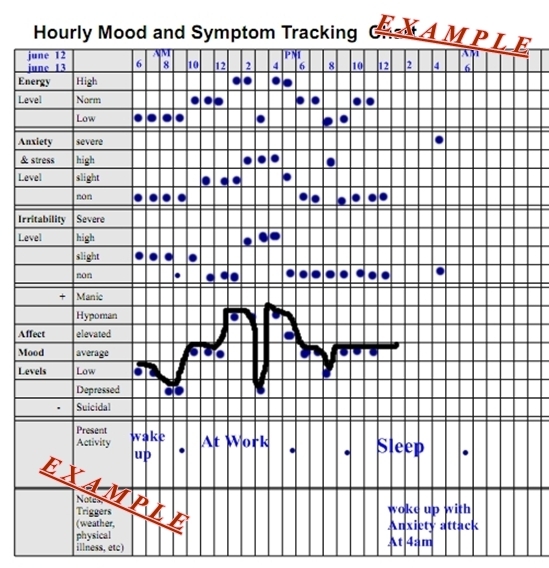 The purpose of tracking with a mood chart is to gain greater awareness of the disorders symptoms and to be able to share with health care providers, doctors and therapist. 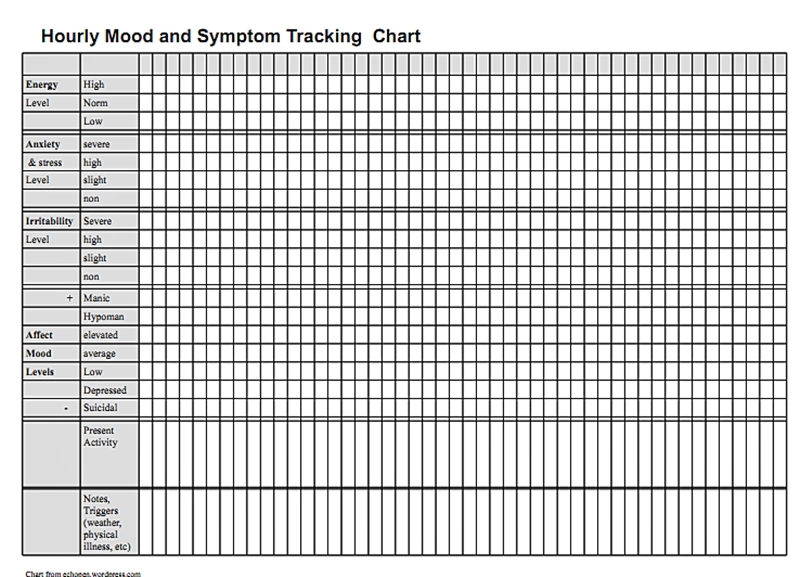 the following mood track chart is very detailed and would be very tedious to fill out. 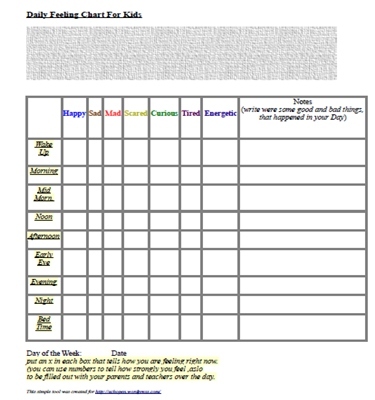 The intended purpose is to demonstrate how many different details one can use in creating their own personal chart.